MPG061-35 is a keypad secured 3.5" external disk enclosure with HDD lock. This unit uses a keypad to request a pass code to prevent an unauthorized user from accessing the content in the disk that has been protected by the product. A disk is protected by the unit when a new disk is placed in the unit and going through the disk format procedure. 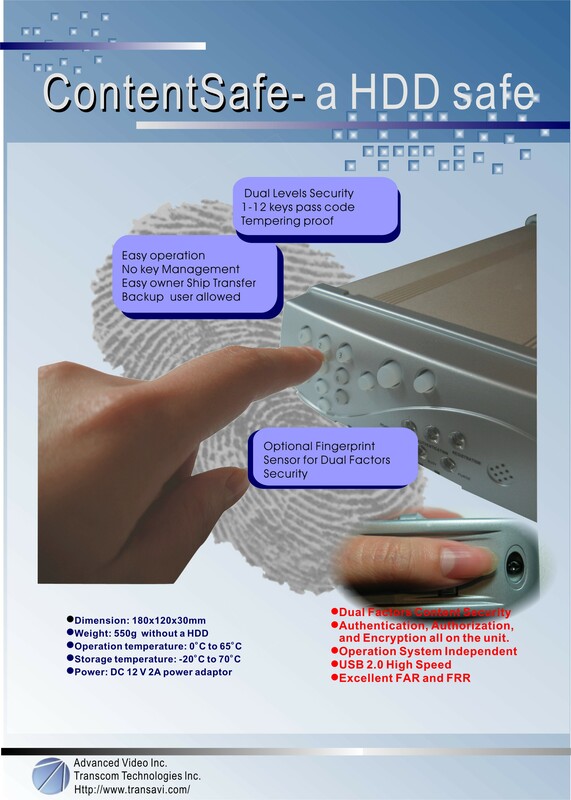 In order to access the unit, a user has to use the keypad to enter a pass code and is able to pass the authentication process that is pass code based. The key pad is a 10 digits numerical keypad with digit 0 to digit 9. There are several control keys on the face panel that can handle the activities concerning the management of the unit. There are also some LEDs that provide indications for situation during the operation of the unit. The LEDs, function keys, and the numerical key pad form the complete user interface and it is totally independent from the host computer. The unit once connected to the host, an authentication LED on the unit will be lit to indicate that the user has to enter the previously-registered pass code which is a 1-12 digits. A failed pass code entry attempts will not be able to see the unit on the host. When the pass code is accepted, the USB 2 interface then starts to function and allows a host to see the unit. Any attempt to remove the disk from the unit and to place the disk in another external disk enclosure, regardless of the same make as MPG061-35 or not, or a host system internally will see a blank disk, hence the content is protected. To further enhance the protection, the pass code is set by the owner of the unit, is used only for the authentication purposes, and the pass code has no bearing to the protection of the content directly. The content is protected by a token key that is qualified to be true random and has no duplication in existence. Furthermore, the procedure handling the authentication by the pass code is encoded in our chip and will block any attempt to dump the code; even the token key which is required to protect the content are generated on the flight and only exist briefly during the time that is needed. The protection of content is initiated with the information induced by the owner of a unit not by, Transcom, the manufacturer. The unit has mechanism to allow ownership transferring and maintain the protection of the content. 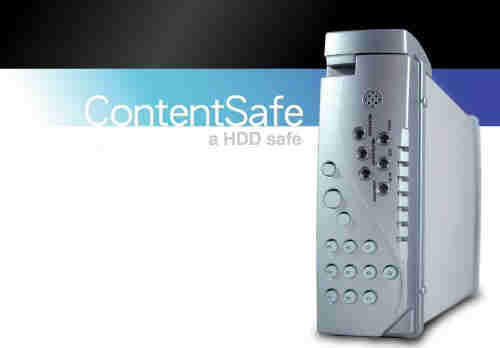 The unit will protect unauthorized access to the content stored on the unit that is only accessible by people intended. The unit will prevent tempering and hacking on the protection mechanism by using execution procedures and time element. The unit is operating system independent. The unit allows an owner to assign a second pass code so that a backup user can access the unit.